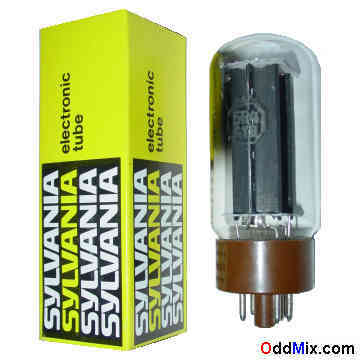 This is a genuine, vintage, Sylvania 5R4GYB industrial and military full-wave rectifier electronic tube. Used for applications, in transmitters, radio receivers or RF equipments. Excellent for replacement, antique radio, instrument, TV television restoration projects, experimentation, circuit research or to set up a private vacuum tube museum. It is NOS tube - New Old Stock, unused, boxed, excellent condition.